Unlike previous builds, which were issued alongside Apple's other beta releases, tvOS 9.2 beta 6 came a few days later. It's identified as build 13Y5232a. 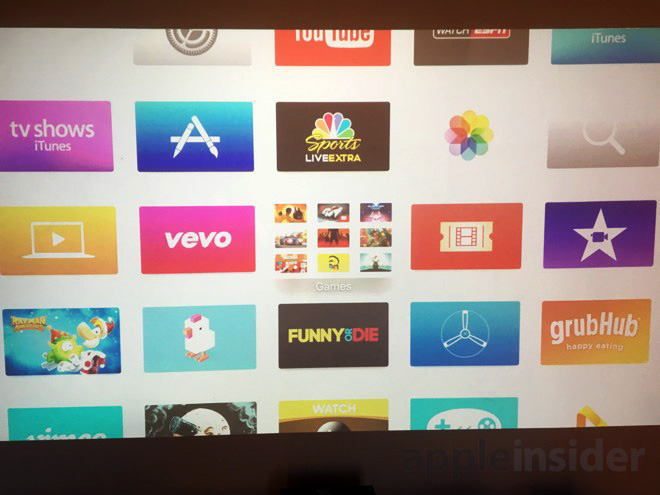 When it launches to the public, tvOS 9.2 will bring support for folders on the home screen, allowing users to more neatly organize apps installed on the device. The app switcher has also been redesigned with a right-to-left interface that matches iOS. tvOS 9.2 also includes support for MapKit, Bluetooth keyboards, and iCloud Photo Library. Apple will also add voice dictation via the Siri remote with the forthcoming update. When given the option to enter text, users can simply press and hold the Siri button on the remote and speak your query.